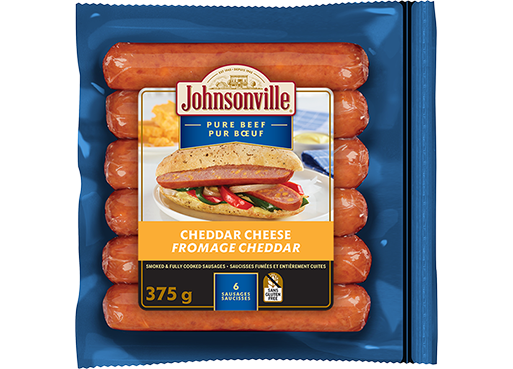 Johnsonville is a town built on sausage, for sausage and by sausage. Everything we do, everything that made us who we are today goes into every sausage we make. It’s the way we do things today and the way we’ve done things since 1945. 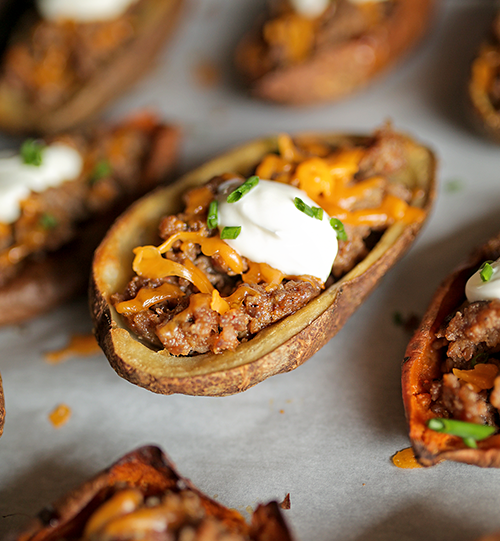 Perfect for game-day or a meal in themselves, these loaded potato skins are easy to make and fun to eat! Real cheddar cheese and quality cuts of beef go together like, well, real cheddar cheese and quality cuts of beef. Get both classic flavours in this delicious new sausage.